Keep half of that cool card someone sent you! The side without writing on the back can be easily repurposed into a postcard. 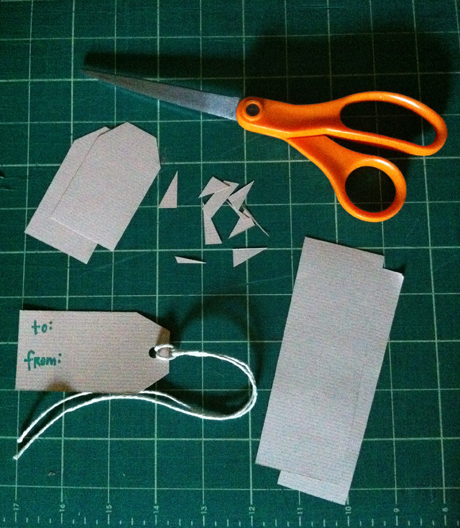 If there’s writing on the back of both sides, trim the card into smaller squares or rectangles, slather some glue on it and paste it to a blank card (aka a sheet of heavier weight cardstock folded in half) and you have a new card. Grab a a plain envelope to fit it at the stationary store (or get creative and make your own) and you’re in snail mail business. This hip trick comes to us via the fabulous Kate at Blue Chair Fruit Co. in Oakland CA. Kate rocked my book tour stop in the Bay Area over the summer with a tea party. She had me at “let’s also embroider tea towels”. When she pulled out her embroidery floss organizer, I knew we had a hip trick on our hands. You’re a hole punch, a ring, a manila file folder and a pair of scissors away from this dapper thread organization method. This hip trick comes to us courtesy of the fabulous ladies behind the Future Craft Collective. Make yourself a handy dandy portable or wall-affixing needle and pin area by grabbing a $2-sheet of adhesive magnet from your local craft shop. 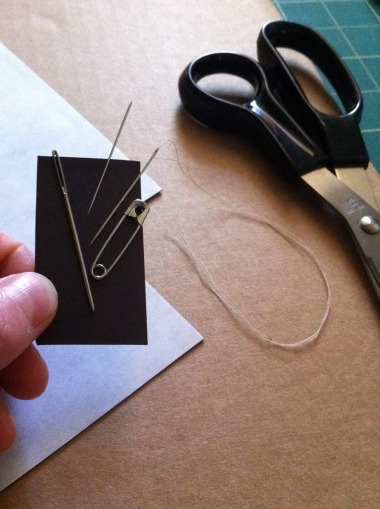 Cut out your preferred size and stick it inside any enclosed little case, an old pin box works swell. Needles and other sharp things that are easy to grab and safe for transport, all thanks to the wondrous powers of magnetism!